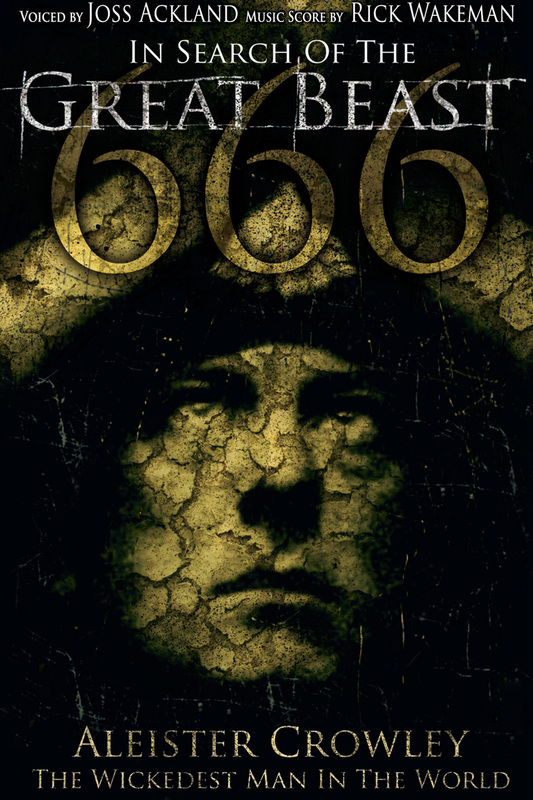 Aleister Crowley is best known today for, “The Book of the Law” (which he claimed had been dictated to him by a supernatural entity called Aiwass) upon which he based his own ‘religion and philosophy’ – Thelema. Like Hubbard, Crowley determinedly mythologised his own life, so it is difficult to separate fact from fiction. 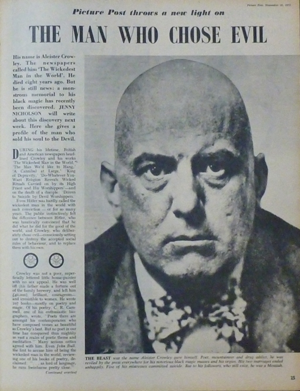 He styled himself “The Great Beast” and was referred to in the popular press as “The Wickedest Man in the World”. He died in 1947, addicted to heroin, and was cremated a few days later, in a controversial ceremony attended by a dozen people. He left behind him an incoherent body of ritual magic and obscure writings. Parsons and Hubbard are mentioned very briefly at the end of this film. I was left with the impression that, if Hubbard learned anything from Crowley and Parsons, it was that you could attract a lucrative following without having to make a lot of sense. The window below contains a 5-minute extract from this programme which presents the basic facts of Parsons life. In one of those curious coincidences, the next segment of the programme discusses “Piltdown Man“. This was once believed to an early human species which represented ‘the missing link’ between apes and humans. Unfortunately, this belief was based on a partial skeleton discovered in England in 1912 which turned out to be a hoax. The person responsible created the skull from carefully matched and aged fragments of human and ape bones – but not before L Ron Hubbard had fallen for it, in print. The PILTDOWN contains freakish acts of strange ‘logic,’ of demonstrating dangerous [sic] on one’s fellows, of eating one’s wife and other somewhat illogical activities. The PILTDOWN teeth were ENORMOUS and he was quite careless as to whom and what he bit and often very much surprised at the resulting damage. Finally, here is a selection of books, magazines and websites which cover this curious period of Hubbard’s life. Book – Wormwood Star, The Magickal Life of Marjorie Cameron Spencer Kansa is an biography of the woman who also participated with Parsons and Hubbard in those curious ‘black magic’ rituals (mostly concerned with her later career as contemporary artist). Additional Information – The Church of Scientology claims that Hubbard was actually an intelligence agent whose mission was to “break up black magic in America”. in 1987, a BBC radio documentary Ruthless Adventure fell for this story, which was later thoroughly debunked by websites like Ron the War Hero after documents relating Hubbard’s real (and inept) military career were released.